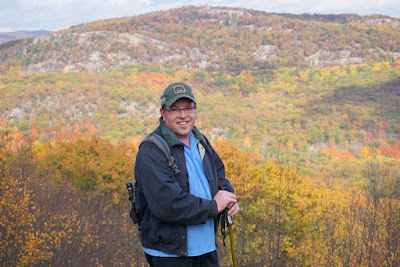 West Mountain is one of my favorite hikes in the area. 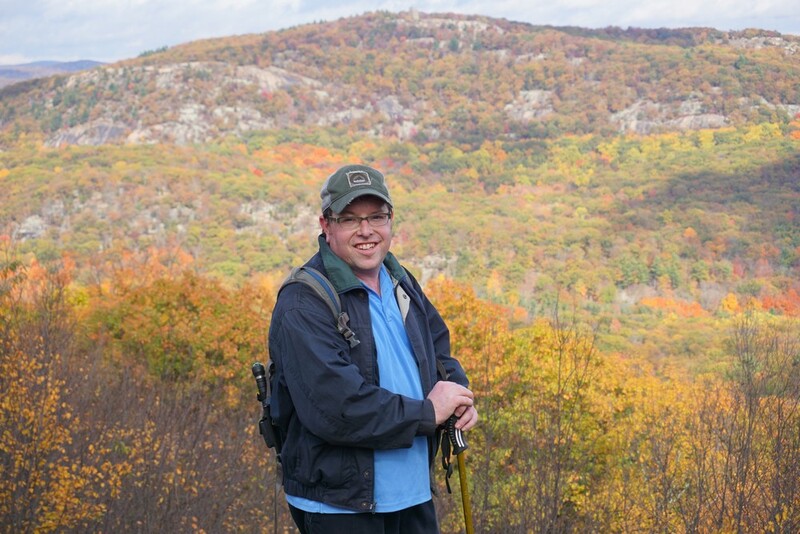 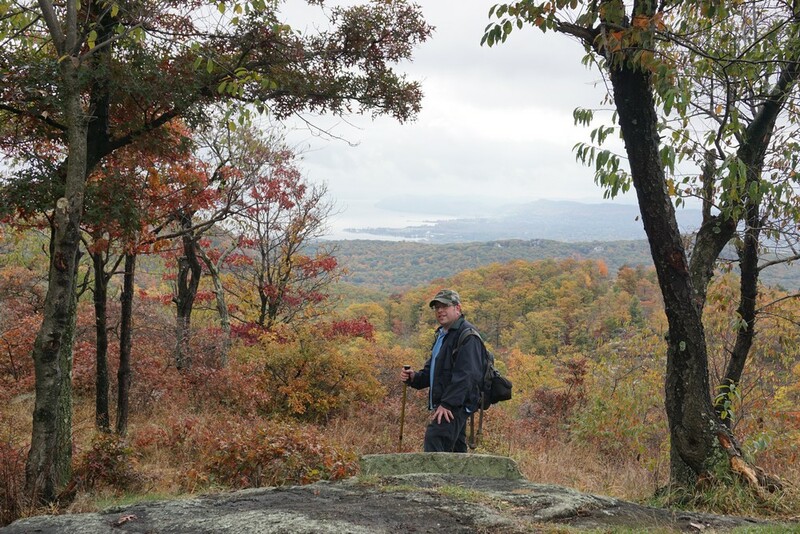 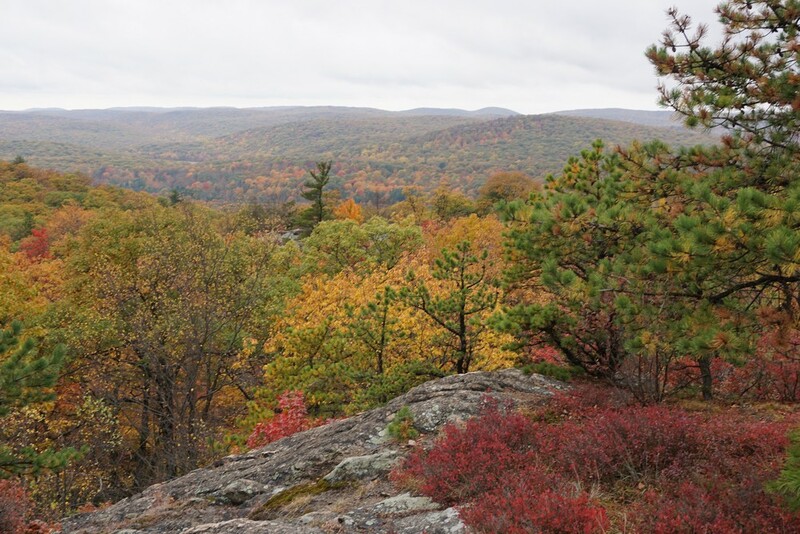 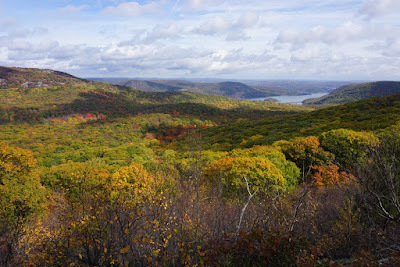 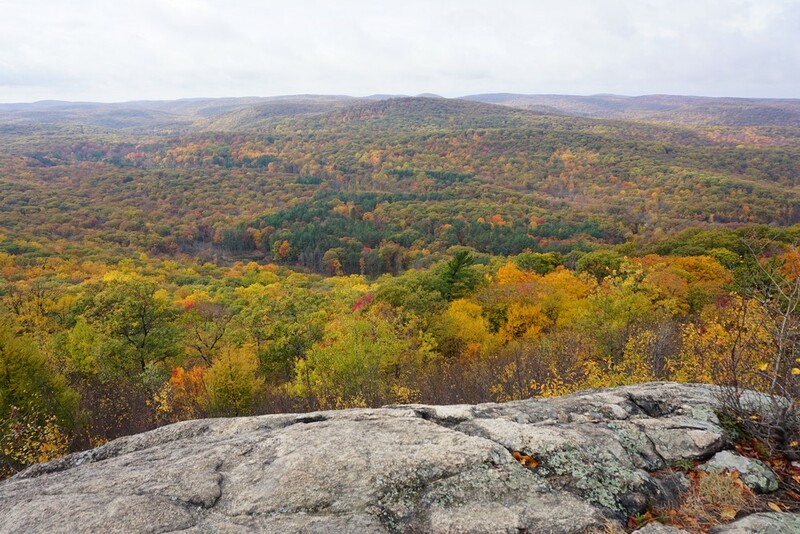 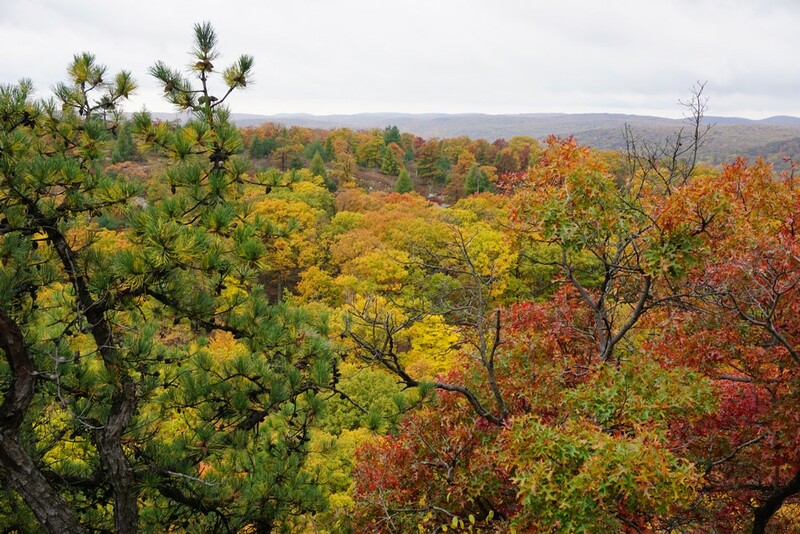 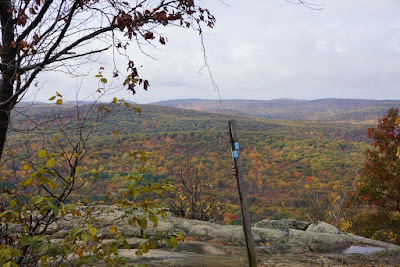 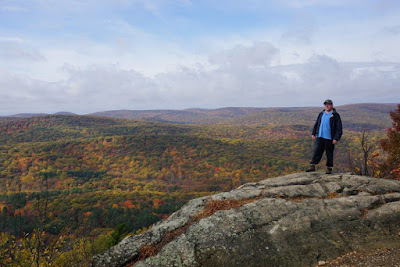 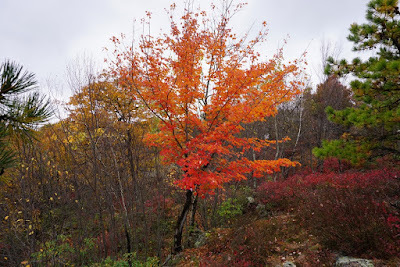 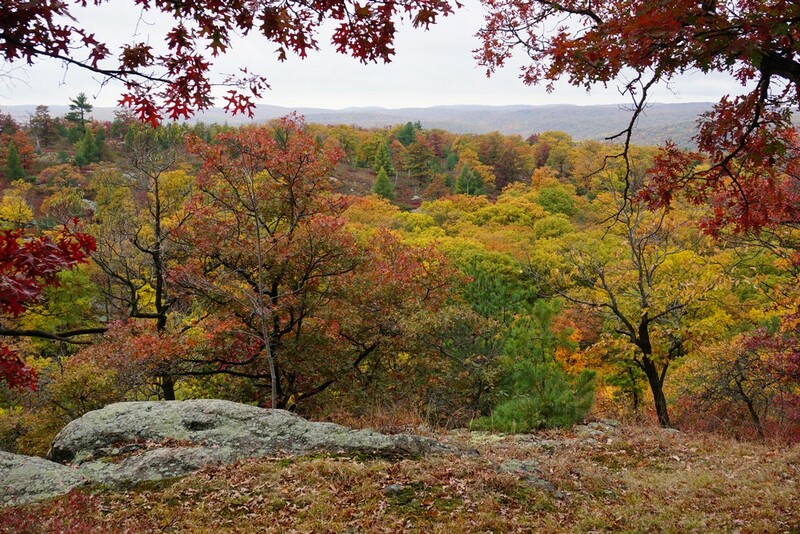 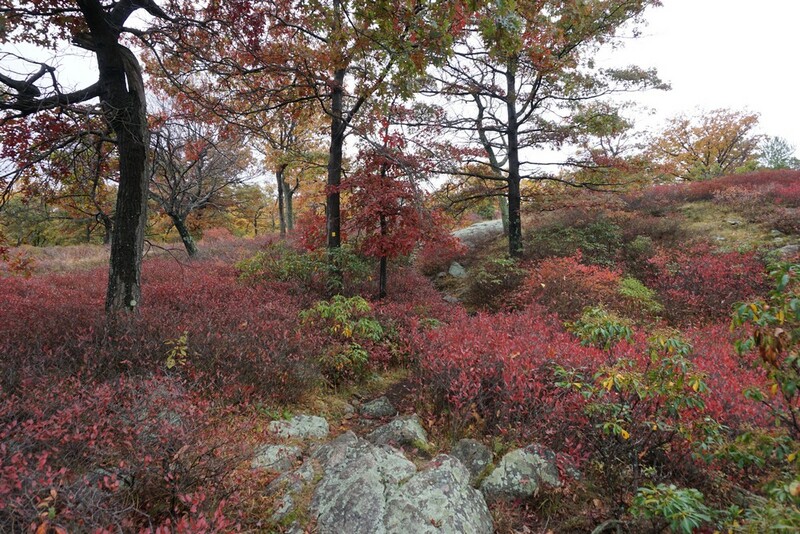 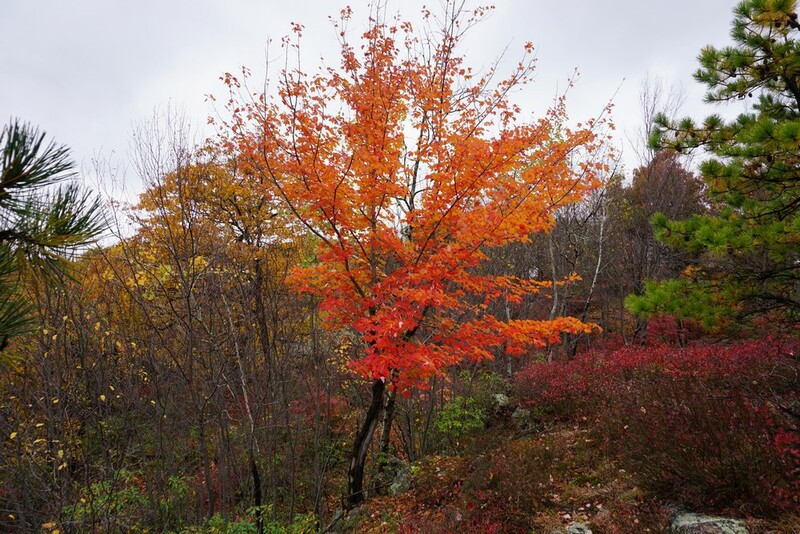 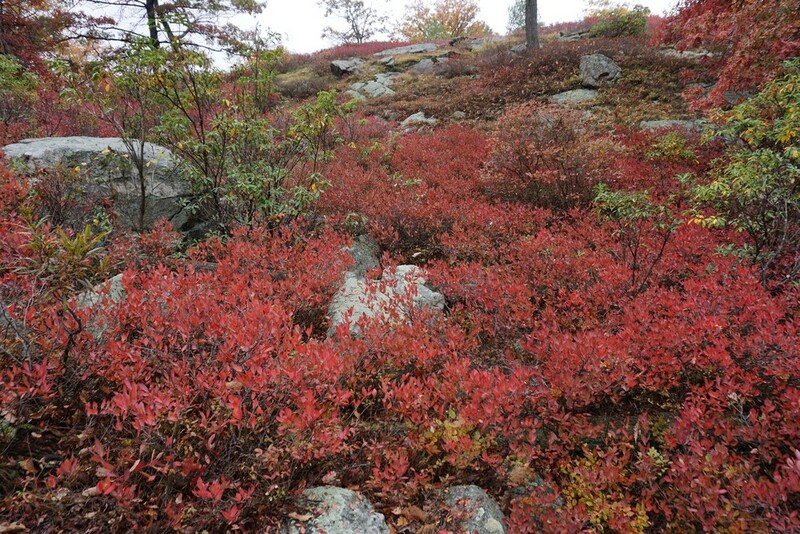 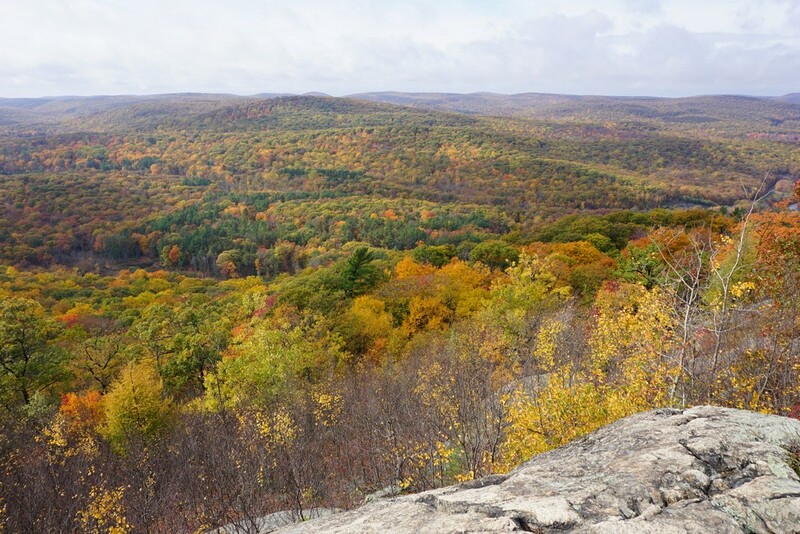 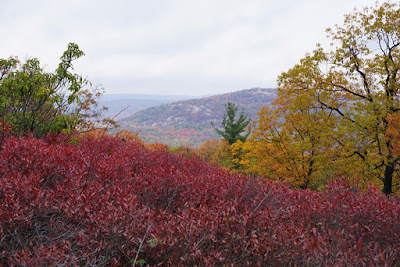 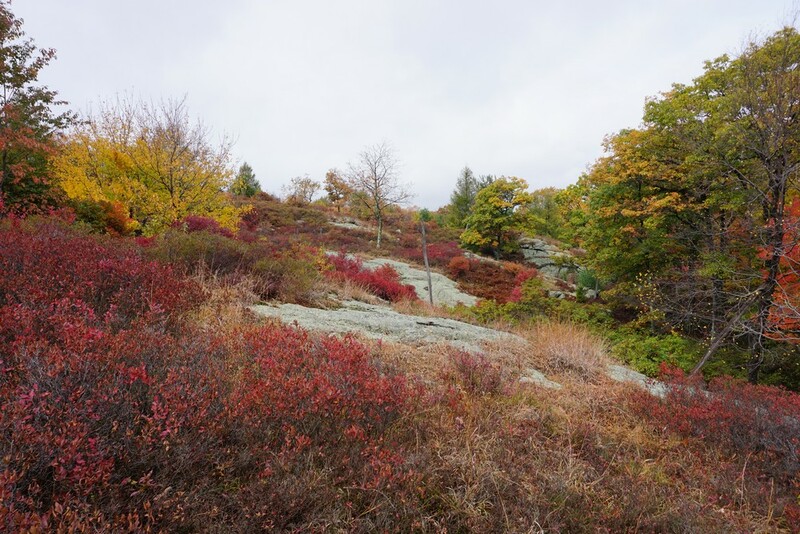 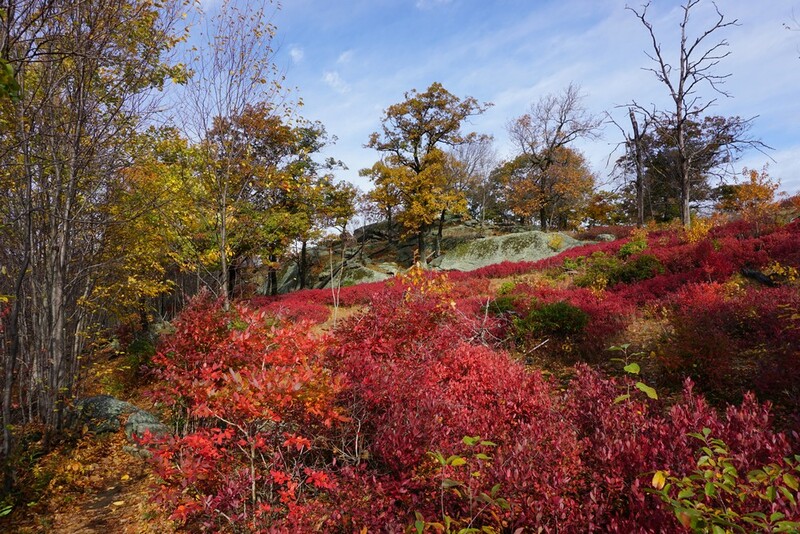 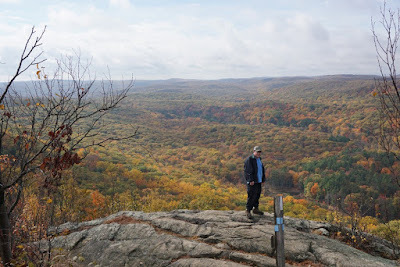 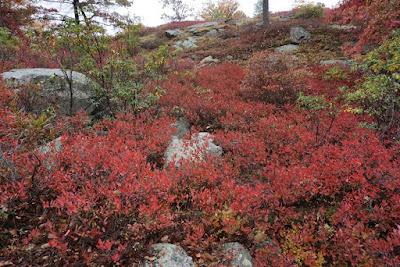 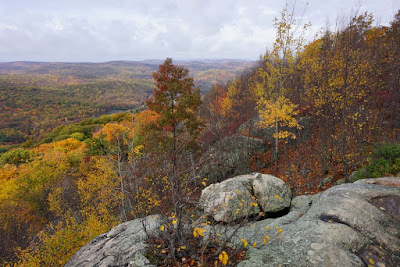 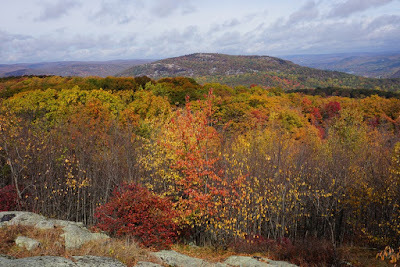 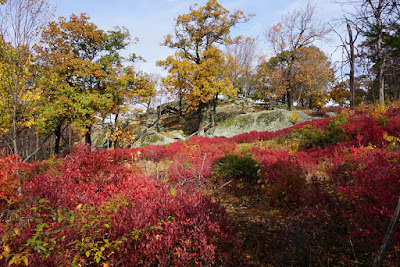 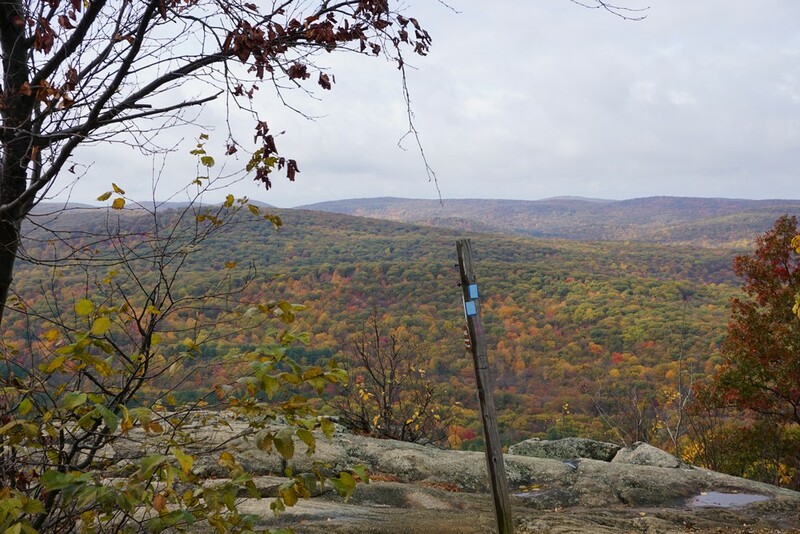 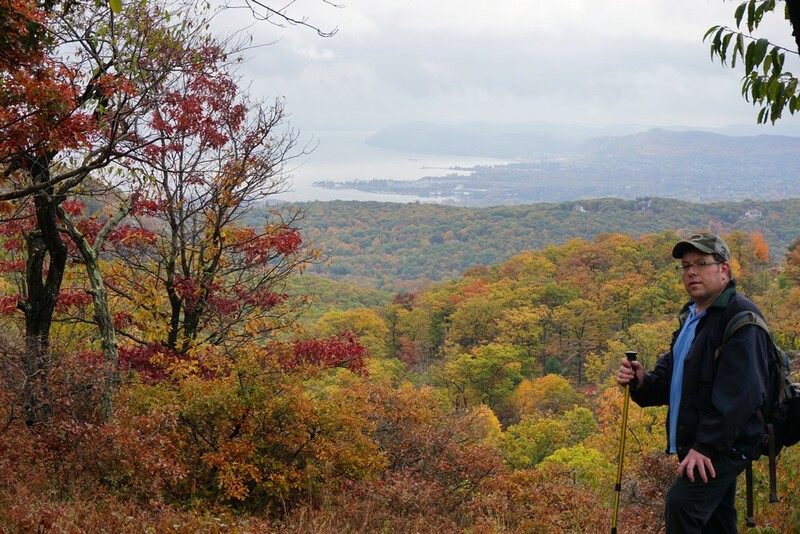 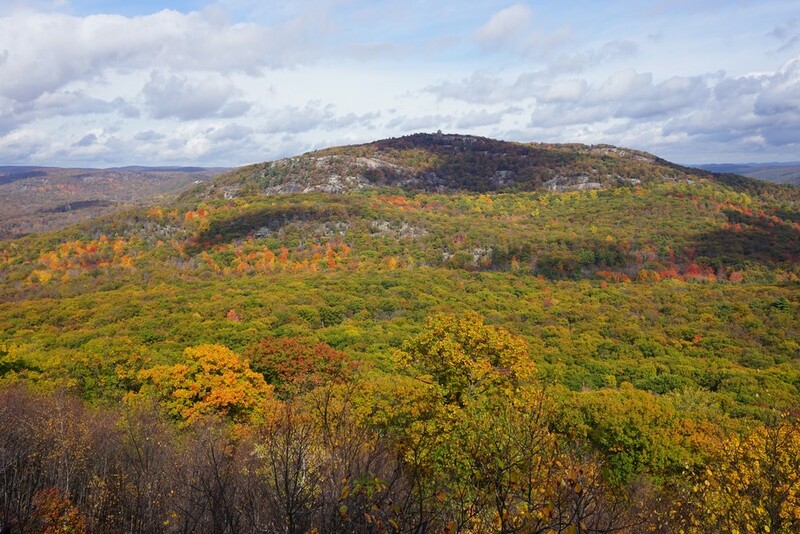 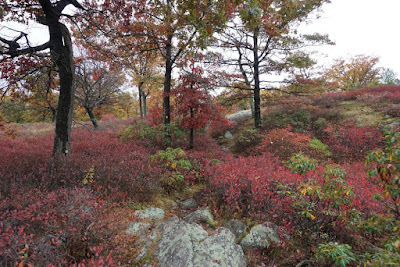 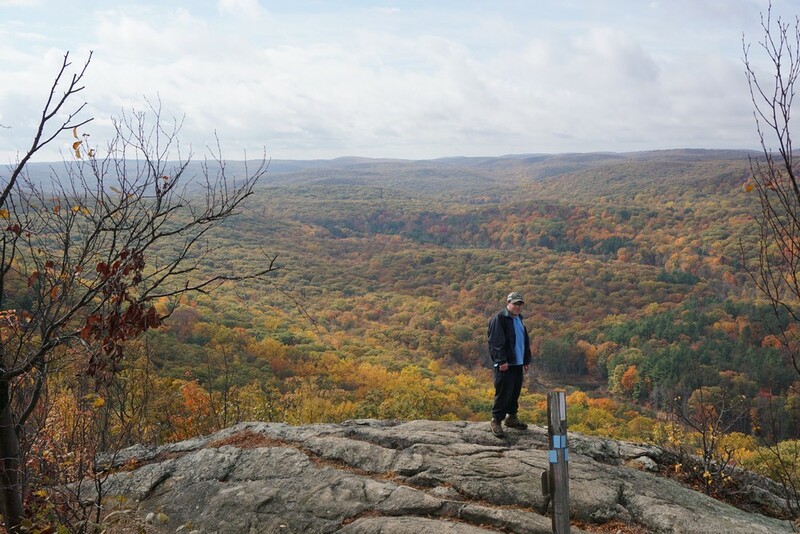 And this hike was during the peak foliage at the end of November, which made for a memorable hike. In the morning it had been raining, and the beginning of the hike was cloudy, but then it cleared up and at the end of the hike became sunny, allowing for the excellent pictures towards the end. We had originally planned on parking at the lower parking area of Anthony Wayne Rec Area, but the the Oktoberfest was taking place at Anthony Wayne, and it was very busy and there was a fee to park. We decided to save our money and enjoy the peace and quiet and instead parked off of 7 Lakes Drive at the foot of the southern end of Bear Mountain. 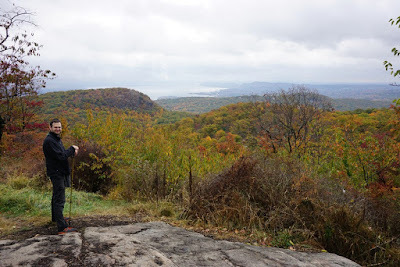 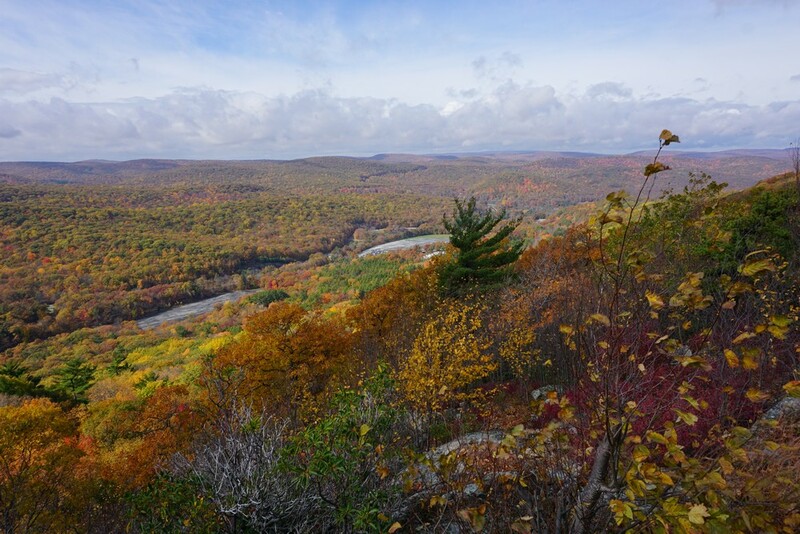 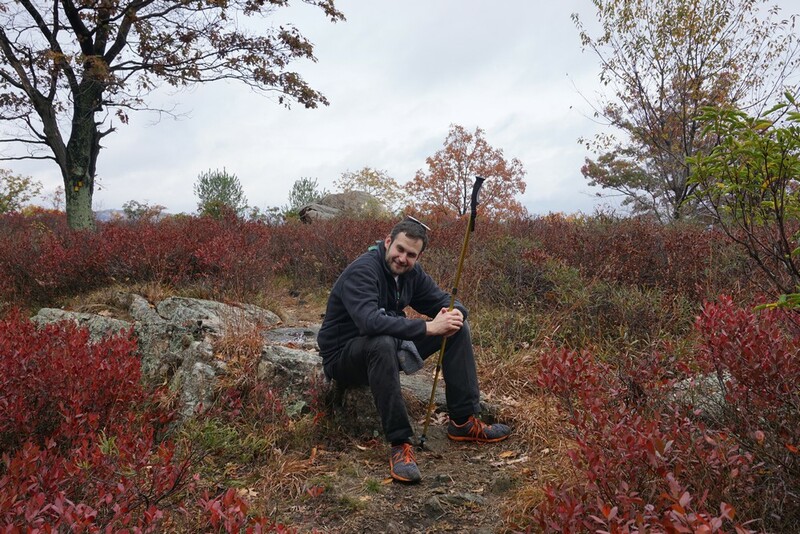 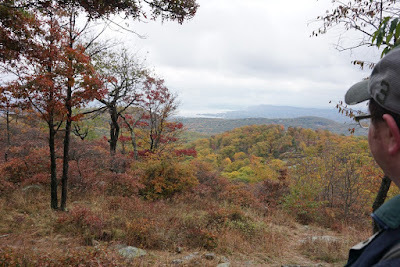 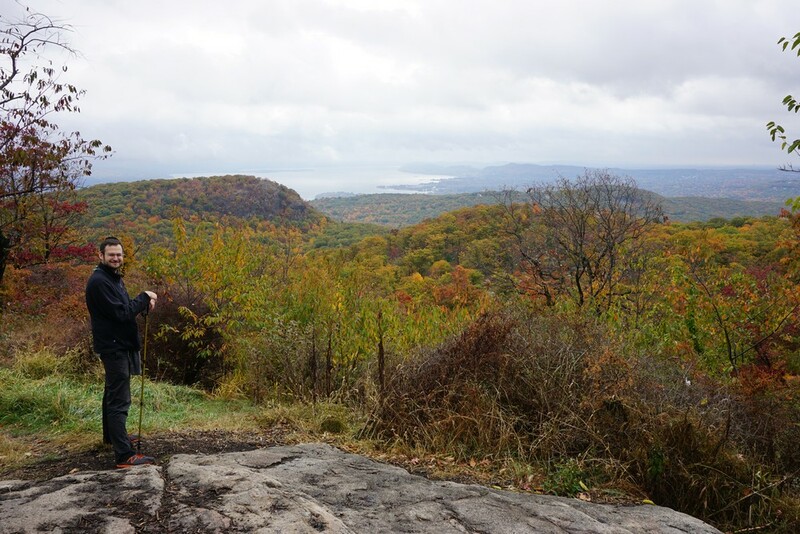 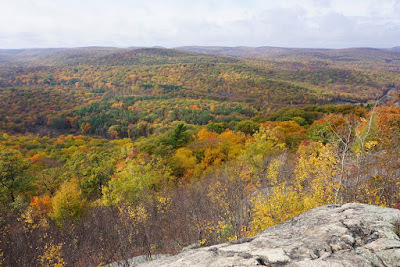 We took the 1777 Trail combined with the Appalachian Trail, and then split off on the Doodletown Bridle Path to the Suffern-Bear Mountain Trail. 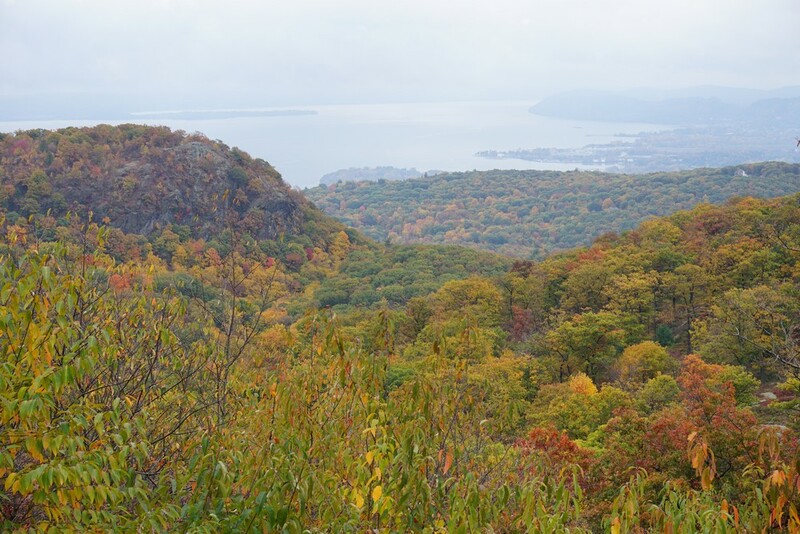 We took the Suffern-Bear Mountain Trail south and up the eastern flank of West Mountain, and then met up up with the Timp-Torne Trail. 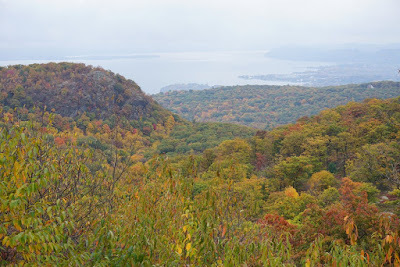 From the Timp-Torne Trail we took a short spur to the Shelter, where there is a great view, and then headed back on the Timp-Torne Trail along the West Mountain Ridge, affording many excellent views along the way. 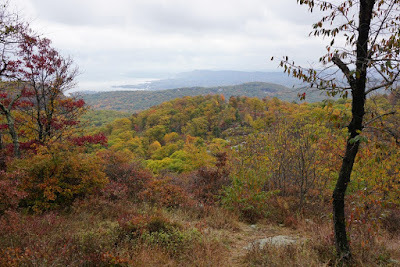 We then split off the Appalachian Trail, and then took that all the way back to hiking trailhead. 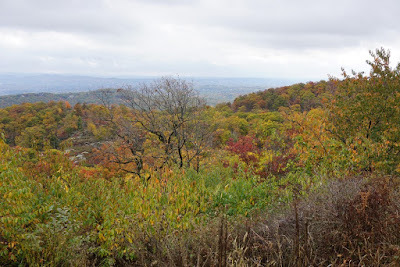 It was so busy today at Perkins that there was a collision on top, so they just shut the entrance down. So I did this hike today. Thanks for the hike. 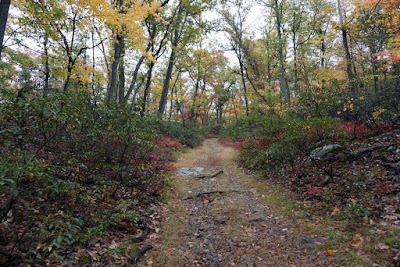 This trailhead parking area can also fill up on nice weekends. 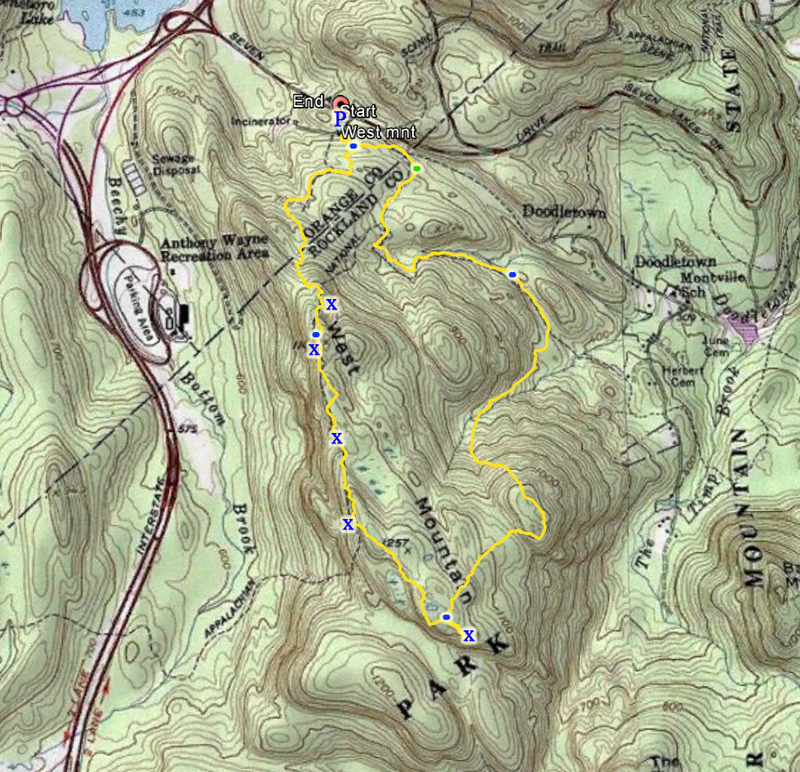 But its definitely a bit off the main area considering the coming and going right nearby at Bear Mountain.